Supplies for French & Indian Forces 1747. The New World Woodsman. His clothing, tools and accoutrements. By Keith H. Burgess. 7) France, Archives de Colonies series C11A, volume 117, folios 191v to 194, National Archives of Canada, microfilm f-118. For how long was this to last them ? I don't suppose that were able to put a time limit on an expedition like this, as they could not know how it was to turn out. But you note there is fish hooks included in the equipment, & the general rule as I understand it was to get more food supplies from the enemy. I believe the British Rangers did the same thing, taking very few food supplies with them & counting on using the enemie's food supplies. I have no doubt that the Indians in this expedition would have been hunting along the way to add to these food supplies. 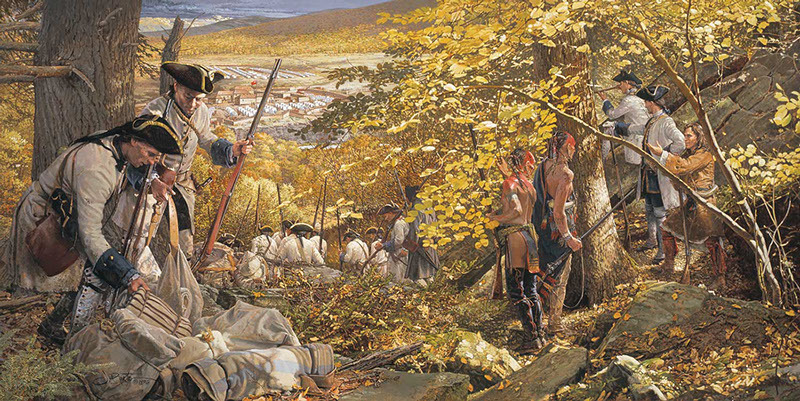 I do remember a record of a Ranger raid on an Indian township where there was little food to be had, & the Rangers were in a bad way before they managed to get back home. They feared they were being pursued & had no time to stop & hunt & nothing presented itself along the way. When they got back to the river, their boats had left because the men left behind to guard the boats were scared of being found. In the end I believe the Rangers built rafts & got back to the fort that way. Niverville carried out half a dozen missions during 1747, from New England to the government of Montreal. In the spring, he took a raiding party of some 10 Canadians and 60 Abenakis through the country south of Lake Champlain into Massachusetts. Although unable to bring back prisoners, the party destroyed five forts and about a hundred houses, killing six or seven hundred horned cattle, sheep, and pigs as well. Last Edit: Dec 12, 2017 7:59:52 GMT 10 by Keith. I am interested in what individuals carried for food as well as groups as to how long they could be out and yes its hard as foraging comes into play.